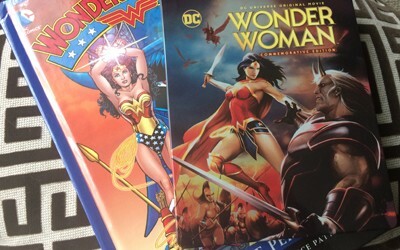 What this Wonder Woman lacks in the chemistry between the Amazon hero and her flawed human companion, it makes it for it in the vigorous battle sequences, especially in the explosive and visually arresting final act. 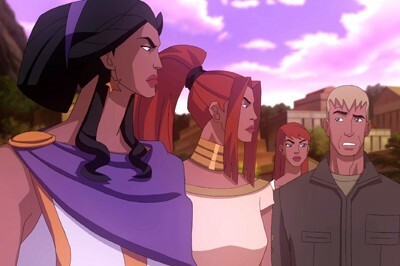 The armies led by Alfred Molina's appropriately villainous Ares tap into rich, dark high-fantasy as they threaten the realm of man, yielding brutal battles between other-worldly forces of both good and evil that approach the kind of violence that pushes certain limits for younger audiences; the violence initially garnered an R-Rating, which was cut down in response. 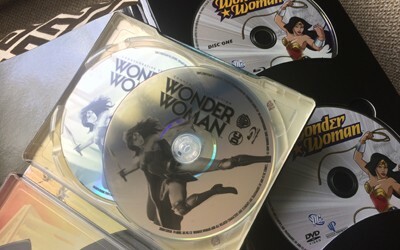 Superhero clich�s involving last-minute saves and convenient solutions might prevent the action from happening in a more credible manner, but they're overshadowed by the script's crafty usage of mythology. 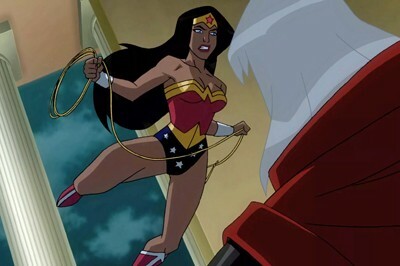 DC elevates Wonder Woman's animated origin through how she confronts the will of the gods following her coming-of-age journey, and its ability to go toe-to-toe with the similarly-themed chaos of WB's recent live-action counterpart is a testament to its triumphs. 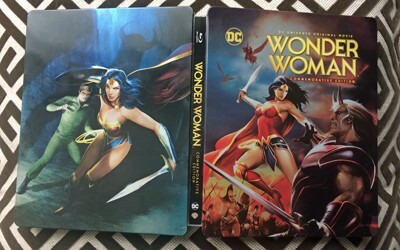 This Commemorative Edition of Wonder Woman has ditched many of the cursory extras from the previous release -- it lacks the loosely-pertinent cartoon episodes and the Green Lantern sneak peek -- but has retained the significant, character-specific and movie-specific ones. 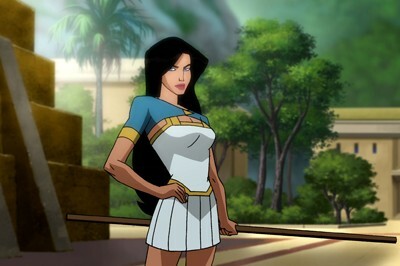 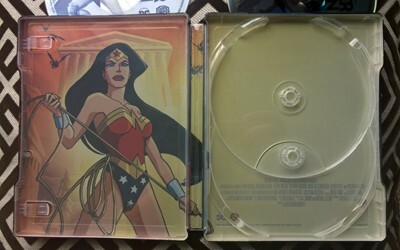 That includes the Commentary By the Film's Creative Team (Bruce Timm, director Lauren Montgomery, writer Michael Jelenic, and Gregory Novek from DC), which hits on interesting points about realizing the character herself and giving the film its grand scope, as well as a pair of lengthy, more intriguing featurettes: Wonder Woman: A Subversive Dream (25:36, 16x9 HD), a glimpse at the evolution of the character that spans from wartime diversion and creator William Marston's psychological roots to how she evolved during the rise of feminism in the �60s; and Wonder Woman: Daughter of Myth (25:40, 16x9 HD), focused on the lore of the character herself and how she factors in actual mythology.